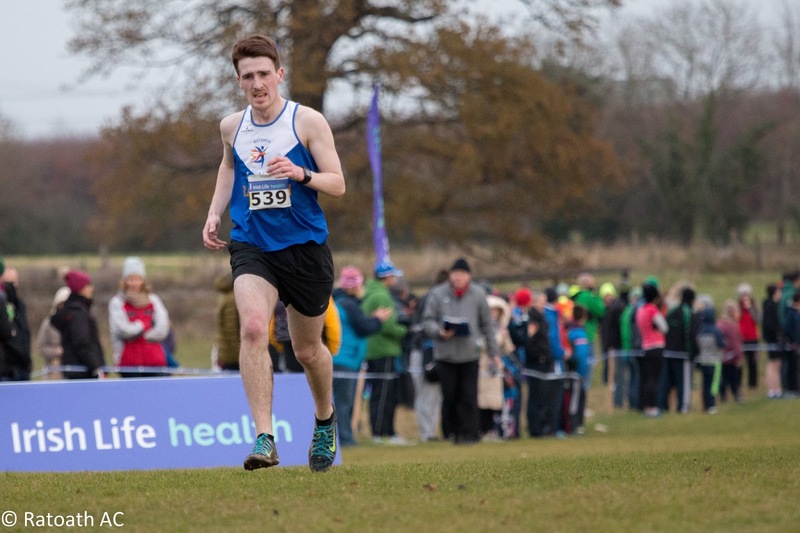 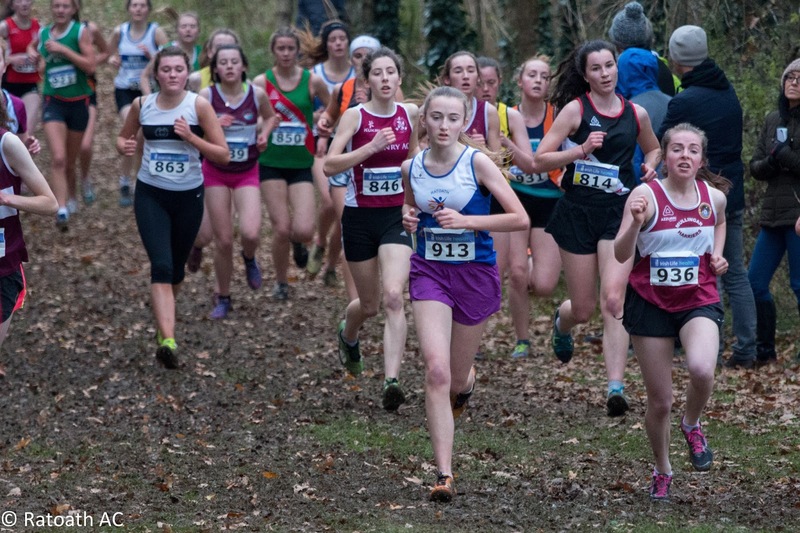 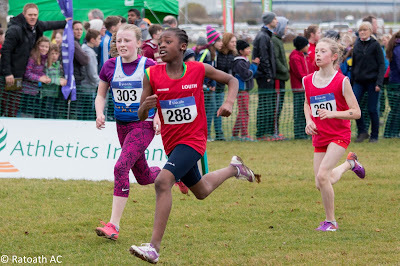 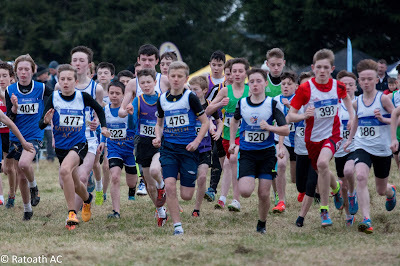 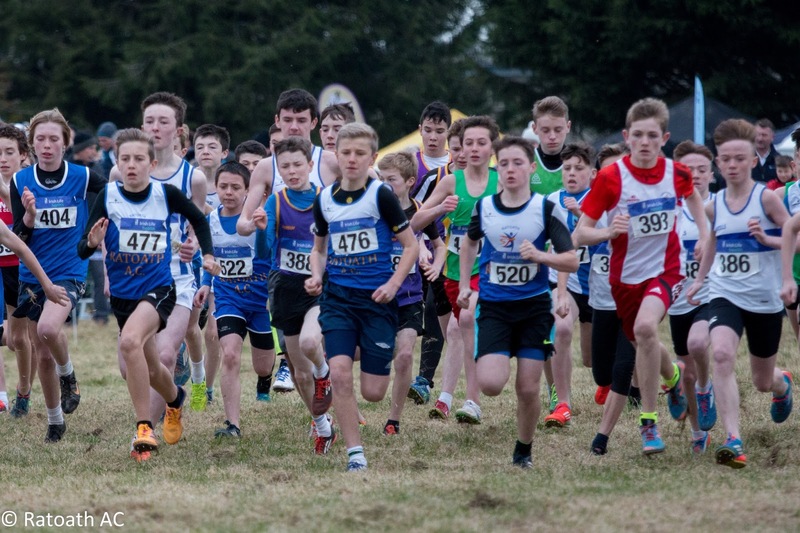 The new custom built cross country course in Abbotstown was the venue for the national even age juvenile and junior championships on Sunday 27 November. 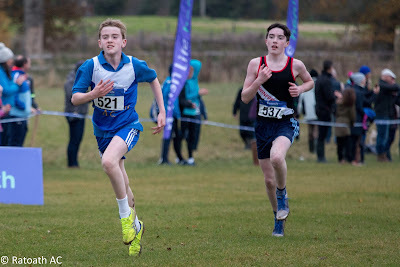 Conditions were near perfect and yet again we were treated to some superb athletics. 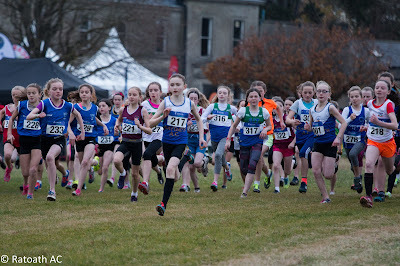 Our under 12 girls team were first to toe the line. 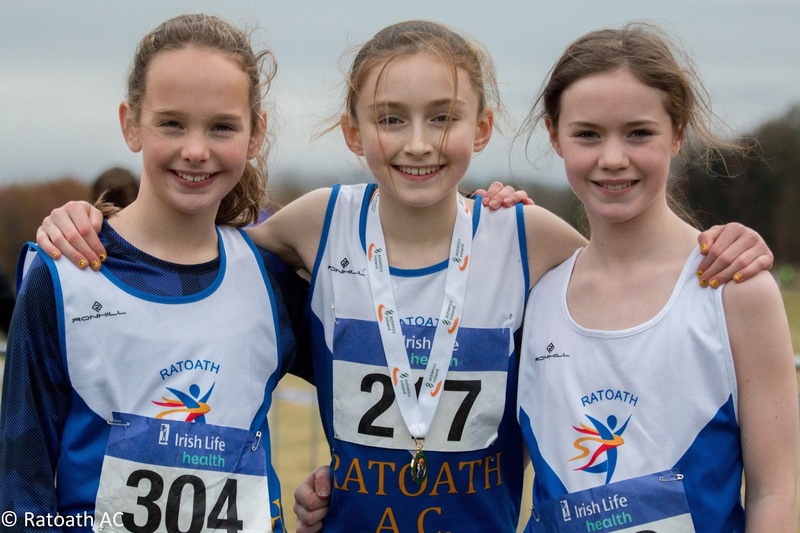 The entire squad of Sophie Quinn (1st), Laura Kelly (17th), Hannah Keogh (50th), Aisling Stratford (65th), Lily Nannery (84th) and Amy Forde (105th) ran out of their skin to win the club team silver medal. Well done to all athletes, coaches and parents. It was wonderful to see Sophie and Laura right in contention from the start leading out a field of over 200 athletes before Sophie gradually turned the screws and relentlessly pulled away for a fantastic individual win. Some of our under 13 girls squad moved up an age and competed in the u 14 championship primarily to gain some experience for their forthcoming championships on December 11th. Teak tough competitors Aimee Doherty (29th), Amelia Campbell (38th) and Laura Smith all ran impressively and will be a force to be reckoned with in 2 weeks time when competing in their own age group. 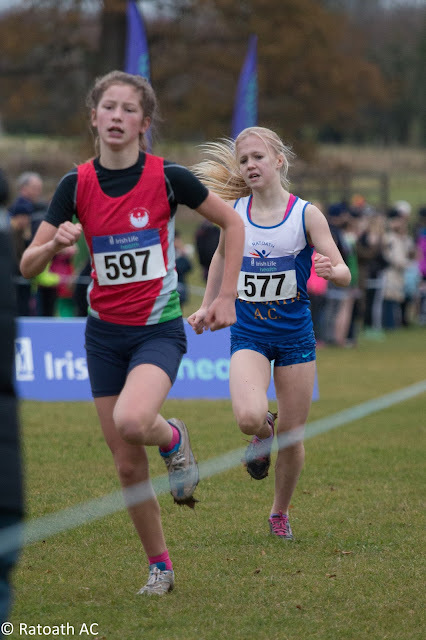 Karen Hayes was our lone competitor in the u 16 and as always put in a tough shift while Aine O Connor (46th) and Niamh Gannon assisted Meath to a fine 4th in the u 18 girls county team category. 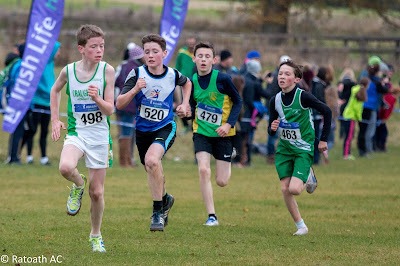 The boys u 14 squad were 9th in the club team. 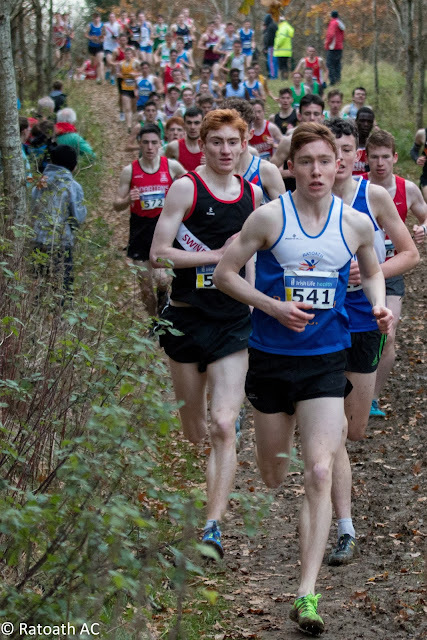 Matthew Hayes (44th), Tom Kilgannon, Oisin Kelly, Kyle Witter, Fionn Drummond and Stephen Kiernan gave it everything on the day and are all developing nicely and are getting better with each passing season. 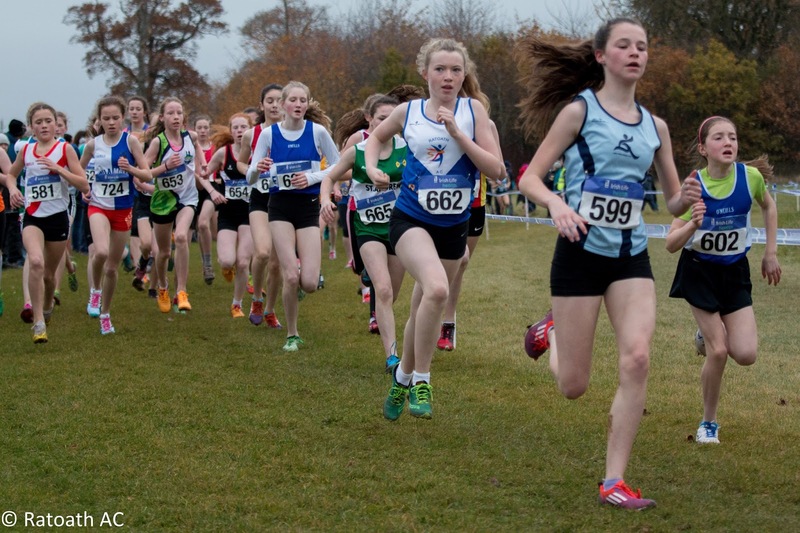 The combined u 18 / junior field was frantic for the start with over 200 athletes in the field. Alex Hunter is gradually getting back to his best and finished 13th in the u 18 category with Ciaran Quinn 91st. 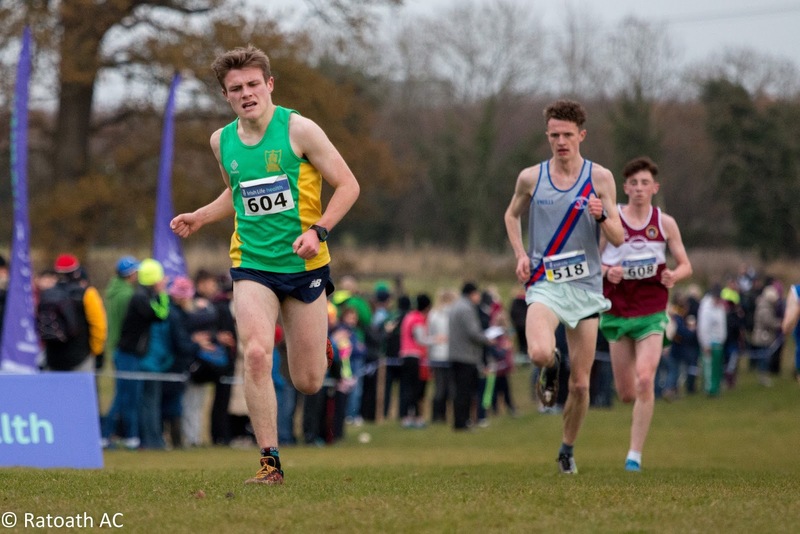 Six places on the Irish junior team for the European Championships were up for grabs so the junior race was ultra competitive. Philip Marron (14th) and Ciaran Crowther (38th) were both running up an age and will no doubt put the experience gained to good use in in 2017. 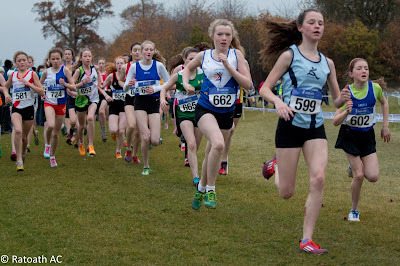 Our club team were 7th and Meath finished 4th in the county team.